Yes, yes! It’s Oktoberfest! – Chatsworth Road Festival. 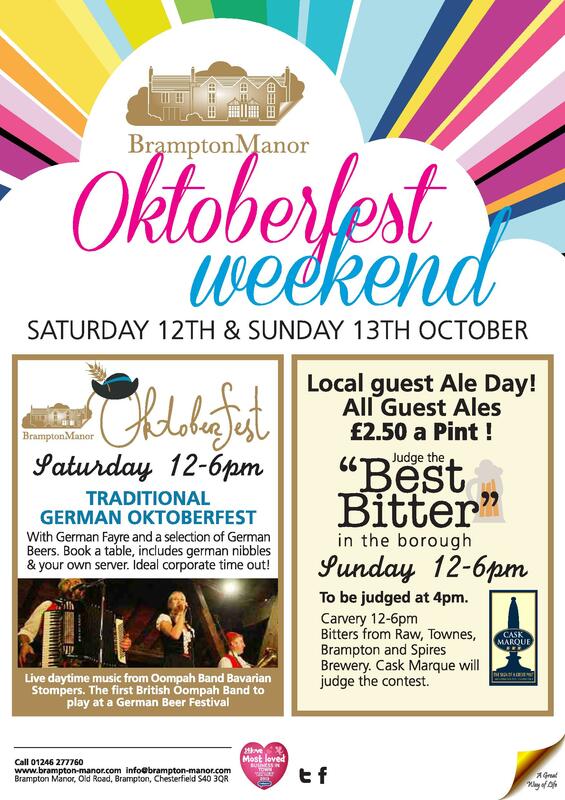 Join in with Oktoberfest Weekend 12 & 13th October at Brampton Manor. As Munich celebrate their 180th Ocktoberfest, Brampton Manor prepares to celebrate their very first Oktoberfest with The Bavarian Stompers, the First British Oompah band to play at a German Beer Festival. Brampton Manor’s very first Oktoberfest will be part of the Chatsworth Road Festival and is set to become an annual event adding something special to the Festival offering. The Munich Oktoberfest is the largest festival in the world, with an international flavour: some 6 million visitors from all around the world converge on the Oktoberfest each year. The Oktoberfest is still held on the Theresienwiese, the locals still refer to the event simply as the “Wies’n”. So “welcome to the Wies’n” means nothing other than “welcome to the Oktoberfest”. The Chatsworth Road Festival say “welcome to the Wies’n” at Brampton Manor”, join in and be part of the first annual Oktoberfest. Get into the spirit by booking your table with server, drink beer and it’s Oompah all the way. Call 01246 277760 or email info@brampton-manor.com to book a table.